The delicate etched seahorse symbolizes creativity, imagination, good luck, fatherhood, vigilance, grace and confidence. The pearl on the same uke symbolizes triumph over adversity, purity, and spiritual transformation and is associated with water, the moon and feminine energy. 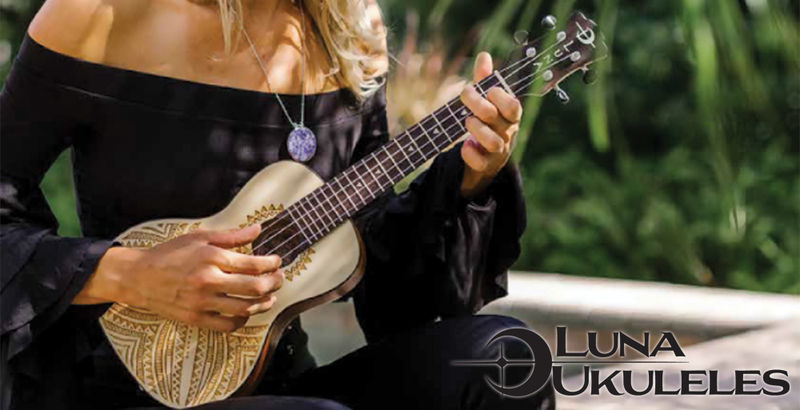 The Luna Uke Pearl is for true Uke enthusiasts. This solid body Mahogany Ukulele boasts a set neck construction, satin natural finish, a Rosewood fretboard, distinctive Luna "Moon Phase" pearl dot inlays. The Uke Pearl is among the finest Ukuleles we make. Click the button below to add the Luna UKEPEARL Ukulele Pearl Concert w/Gig Bag to your wish list.